This week Awesome Stories brings you stories to start your new year with a flame in your heart and a smile on your face. University of the People is aiming to change the way we learn and educate people. They’ve created the first accredited, tuition-free university that offers both 2 and 4-year degree programs. Their focus is mainly on computer science, business, and healthcare to ensure that students attain viable skills for in-demand fields. They believe that education can transform people and the world, helping to create both peace and economic development. The university is supported by grants, passionate volunteers, open-source courses, and businesses who want to transform education. Students are only asked to pay a $100 processing fee for each course exam. And recently, they’ve offered 500 Syrian refugees totally free access to their university! Power to the people. According to the latest research, solar energy now produces 14 times as much energy as is required to produce and install. This means that solar energy is actually more efficient than oil and gas. This increase in the efficiency of solar energy (and it’s getting better as solar panel and battery efficiencies increase) marks the beginning of the end for fossil fuels. And many of us would say good riddance. Fossil fuels have allowed for cheap and easy booms in manufacturing, industrialization, and economic growth. But the environmental costs have been huge, especially as the industry has turned toward offshore oil deposits, shale oil, and fracking. Solar energy is not a complete panacea either; it uses harsh chemicals and the mining of rare earth metals to produce the panels, but researchers are experimenting with less toxic processes and panels made from carbon, graphene, and other more common elements. Shine on sweet solar! Many people have used art to heal and grow, but this is a unique twist on using art. It started with a Finish student, Maria, reaching out to an inmate on death row through a prison pen pal program. Maria Jain reached out to Moyo partly because of their common appreciation for yoga, art, and meditation. 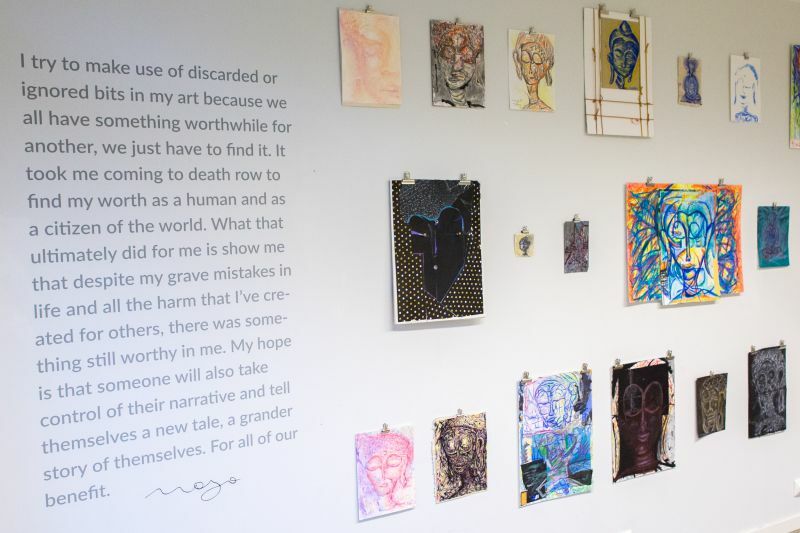 As the letters and relationship unfolded, Maria had the inspiration to create an art show with Moyo’s art and call it Buddhas on Death Row. Moyo’s journey as a person and artist is quite moving. He decided he wanted to learn to read and write, which grew into writing poetry and finally painting to better express himself. Then he found a book that opened his perspective to using art to heal and uplift others. He started painting Buddhas and using his time and art to reach out to others with the intent to think, live, and be a better person. What do you want to create with your life? Let’s make 2017 an intentional year full of love and kindness. Brad I can not think of a better way to begin 2017 than with acts of kindness and Love.. Another wonderful selection of awesome stories… And good to see how solar power is now becoming so much more efficient. Wonderful that top story offering 500 free placements to Syrian refugees.. Wonderful .. As are those acts of kindness in the VW.. and the amazing paintings.. I remember a family visit to our nation’s capital a few years ago. We visited all the techie and/or scientific museums – Air & Space, Smithsonian, etc. I have been to D.C. numerous times in my life, and I am not proud to admit that I had never been inside the National Gallery of Art. It transformed me. The beauty, the history, and the emotion of the works themselves living on through the eyes of the artists that produced them moved me in a more profound way than I had expected. It actually healed a part of me that I didn’t even realize needed mending. I was staring at the acoustic guitar resting against the wall in my closet last night and felt “guilty” for leaving it sit unused for so long. Then, I thought – The pen is my instrument, the words are my chords, and the stories are my music. As for me, I want to create connection through shared inspiration. A wonderful post Brad, thanks for sharing and best wishes for an inspired 2017 filled with good intentions! Thank you Dave. I love how passionate you are about life, family and writing. I hate to admit I haven’t been to the National Gallery of Art and I grew up in the DC area. 😦 Next time I visit family I will go! To an intentional year lived with gusto! This was a very good article! Wow, 2017. How time passes so quickly. We are hoping your 2017 is filled with joy, happiness and blessings. Thanks for the wonderful wishes Tom and Audrey. May your year be full of love and adventure! Sad to say, 2016 will be the year we remember for all the wrong reasons. This brought such a smile to my heart… Thank you, Brad. May you find even more joy in 2017!! 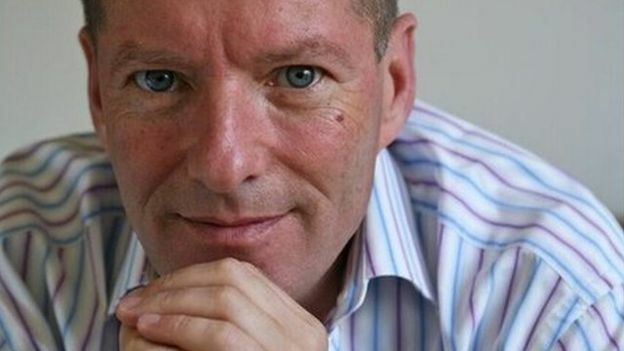 Some great stories to herald the new year Brad, full of hope and kindness. There is ALL KINDA GOOD THINGS in this post! I clicked on all the links to find out more. The University of the People!? And excess solar energy!? And the kindness van!? The world really does have shining lights, doesn’t it? It’s not all bad at all – there are MANY good things happening. 🙂 Thanks for sharing this!! Many good things happening and many good people like yourself Cynthia. I think it helps to be reminded. 🙂 To a year of goodness…. Thank you for these stories, for the warm feeling and the smile they brought. Here’s to a kinder, more joyful 2017! How interesting! Thanks for sharing, Brad! May 2017 bring you love, serenity and inspiration! Agreed Andrea! To a year of kindness. Thanks Elaina. Happy New Year! Thank you dear Natalie. 🙂 I appreciate you and hope we both have banner years filled with peace, love and joy! Thank you Mitza. May we nurture peace in our hearts and community. Many blessings for 2017! Thanks GP. Happy New Year! Wonderful New Year edition, Brad! I like all the stories, but one that stood out was the “kindness acts”. It is obvious from the video that kindness makes people happy – both the givers and the receivers ❤ Happy 2017 to you Brad! Great observation and reminder for me about kindness. Thanks and Happy New Year Helen! Thanks for asking about van travel Ka. I did enjoy it in my 30s, and probably would enjoy it again. There was great joy in seeing beautiful places and connecting with people from a wide open place. Yes, we’re really all wanting or giving love in our choices. Aloha and hugs! Thanks Naomi. Let’s keep hope alive. to a kinder, cleaner, and more thoughtful year – for all of us. Thank you for finding these amazing stories and sharing them with us, Brad. My pleasure Annette. May we share and lift each other up. I always feel uplifted when I come to your site and read your inspiring stories. It must be the VW van and your kind heart too. Otherwise, why do I think you’d love to do something like that couple? Yup, the love, the fun, the meeting people, and the joy of giving. But they have retirement income to live on. It’s nice to hear about the possibilities in this article ”Awesome Stories 300- New Year’s Edition”. Can’t wait for next years edition. Thanks Renee. I’m glad the stories give you a sense of possibility. Hopefully, you won’t wait a whole year. You can find more stories each week!